20 Grilling Tips Every Pitmaster Should Know - What's for Dinner? Nothing says summer like a barbecue on the patio – but truly great grillers are made, not born. Follow our expert tips and tricks and you’ll be grill master in no time. Flavor your food with spices or marinades at least an hour before grilling to let the flavors penetrate. 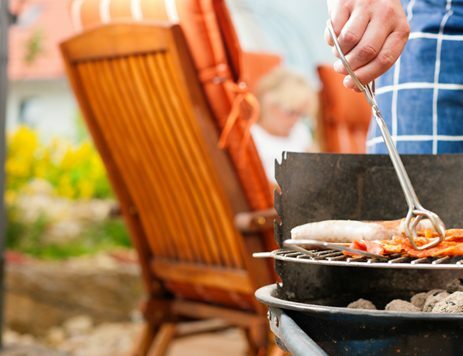 Before you get the heat going, grease the grill using tongs and an oiled cloth. This will create a non-stick effect. Preheat for 15 minutes to zap germs and get the grates hot enough to sear food. Keep one side of the grill hot and one side warm. High-flame “direct heat” helps sear, and moderate flame “indirect heat” helps cook food through. For charcoal grills, just push more coals to one side. Start by cooking the food that will take the longest, and add the quickest-cooking food last. This way everything will be done at the same time. Thin foods respond well to quick, high-heat searing, while thicker foods will need some time over indirect heat with the lid closed to cook fully. Check out our grilling times guide for more. Keep the lid closed while you grill to help cook food through and trap more smoky flavor. Turn proteins twice, maximum. Protein that’s not ready to turn will stick to the grill. Add sauces with honey, brown sugar or molasses just before cooking is finished to prevent burning. 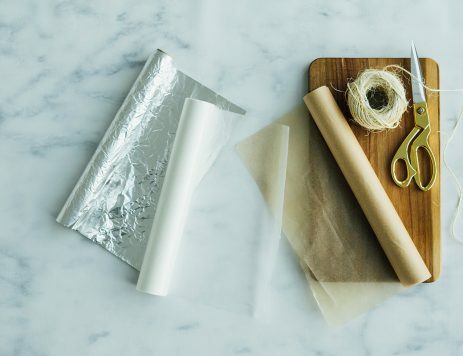 Use foil packets to cook fish, roast veggies, steam potatoes, and grill bread. This lets you make a whole dinner on the grill and keeps dishes to a minimum. Cedar planks make amazing slabs for cooking fish and seafood. Soak the planks in water and whiskey before putting them on the grill. They act as a baking sheet that infuses flavor while it cooks. Make kebabs with sturdy rosemary stems instead of skewers for an extra flavor boost. For extra smoky flavor, try adding soaked wood chips right to the coals or in a foil pan above the flames. Cover used grates with foil, crank up the heat for 5-10 minutes, then carefully remove the foil. If you don’t have a wire brush, wad up clean foil and scrub the grill with tongs to remove stuck-on food. 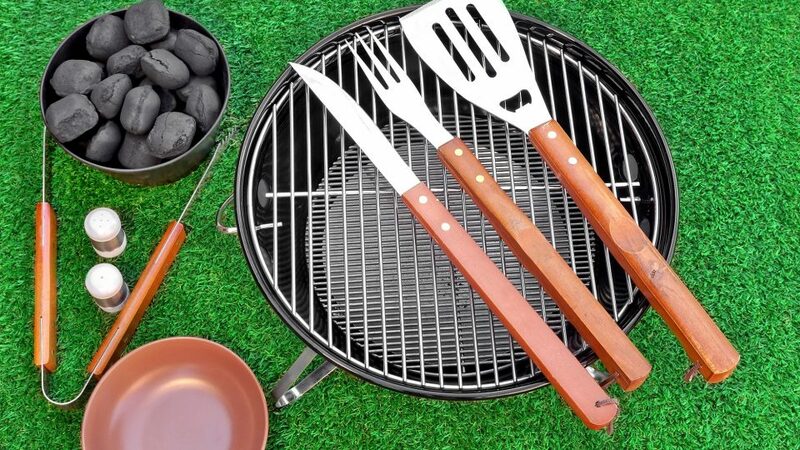 Store your grilling tools in the same place so you know where everything is when you need it. For a gas grill, make sure to turn gas off at the source when you’re done. For a charcoal grill, allow coals to fully cool and turn to ash before disposing of them. Remember to move cooked food to a clean plate – not one that has previously held raw meat, fish or poultry. Bacteria from raw food can contaminate the cooked food and cause food poisoning. If you’re using one utensil to handle raw meats, avoid serving fully cooked meats with it.